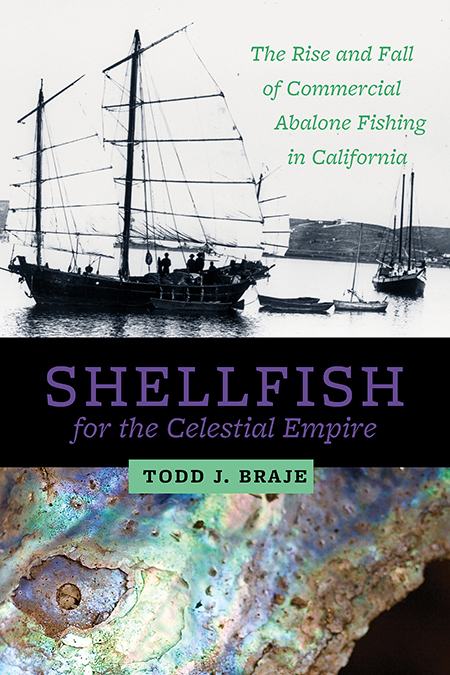 In the 1800s, when California was captivated by gold fever, a small group of Chinese immigrants recognized the fortune to be made from the untapped resources along the state’s coast, particularly from harvesting the black abalone of southern and Baja California. These immigrants, with skills from humble beginnings in a traditional Chinese fishing province, founded California’s commercial abalone industry, and led its growth and expansion for several decades. By the turn of the twentieth century, however, their successful livelihood was stolen from them through targeted legislation of the U.S. and California governments. Today, the physical evidence of historical Chinese abalone fishing on the mainland has been erased by development. On California’s Channel Islands, however, remnants of temporary abalone collecting and processing camps lie scattered along the coastlines. These sites hold a treasure trove of information, stories, lifeways, and history. Braje has excavated many of these sites and uses them to explore the history of Chinese abalone fishing, presenting a microcosm of the broader history of Chinese immigrants in America—their struggles, their successes, the institutionalized racism they faced, and the unique ways in which they helped to shape the identity of the United States. Todd J. Braje is an associate professor of anthropology at San Diego State University. 2. Of Anchors, Admirals, and Artifice: The Chinese before Columbus?